Went with three friends to the Center City Olive Garden on Day 1 of the Unlimited Pasta Pass promotion. I had planned on getting spaghetti with meatballs for day 1 but decided that cavatappi would be much more fun and easier to eat. I was both correct and thrilled with my decision. It was indeed easier to eat than spaghetti, especially since I never figured out how to do that roll-up thing with the spoon. 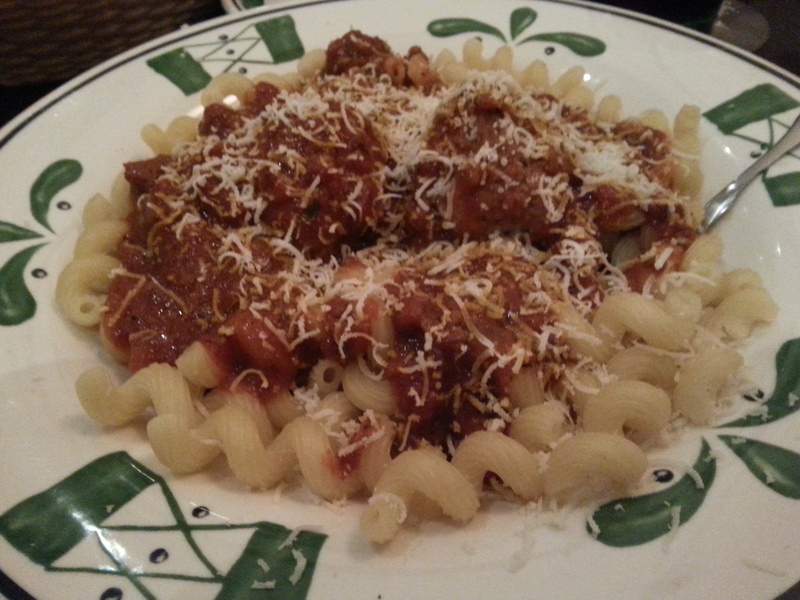 The pasta was springy with just the right amount of give, and the meatballs were delicious. Would have loved to have taken the meatballs and put them on a giant meatball sub. 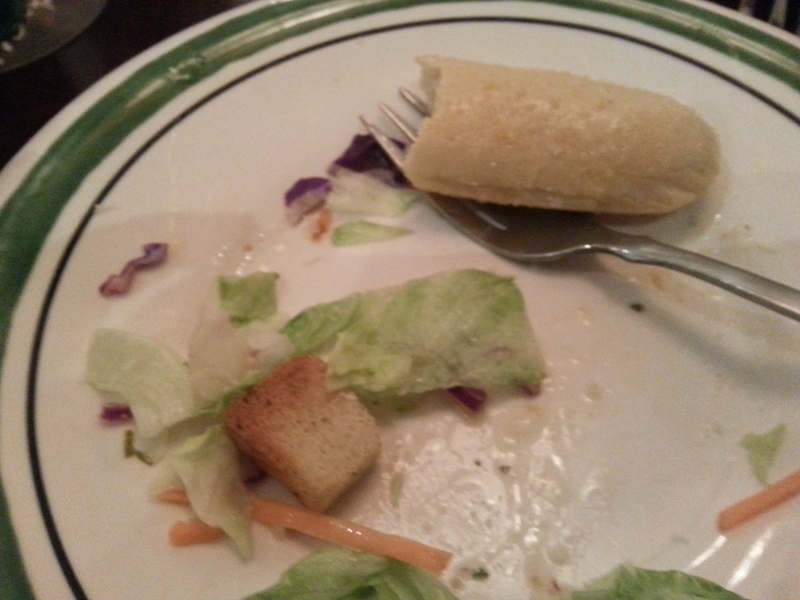 Oh yeah, salad and breadsticks happened too. I was too busy stuffing my face to think to take a picture of them beforehand, since they’re the first things that come out. Also, according to some unsatisfied Olive Garden investors, the breadsticks “deteriorate in quality” after seven minutes, so I had to eat three of them in six minutes.